Moy is a village and townland in County Tyrone about 5 miles (8 kilometres) southeast of Dungannon and beside the smaller village of Charlemont. Charlemont is on the east bank of the River Blackwater in county Armagh and Moy is on the west bank. 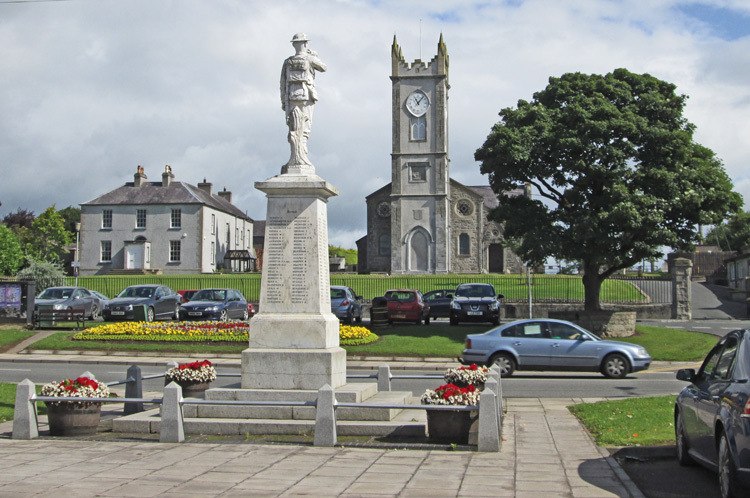 Moy War Memorial is situated in the centre of the village �square�. This formal rectangular market place is decorated with lawns and horse-chestnut trees. Moy is a village and townland in County Tyrone about 5 miles (8 kilometres) southeast of Dungannon and beside the smaller village of Charlemont. Charlemont is on the east bank of the River Blackwater in county Armagh and Moy is on the west bank. 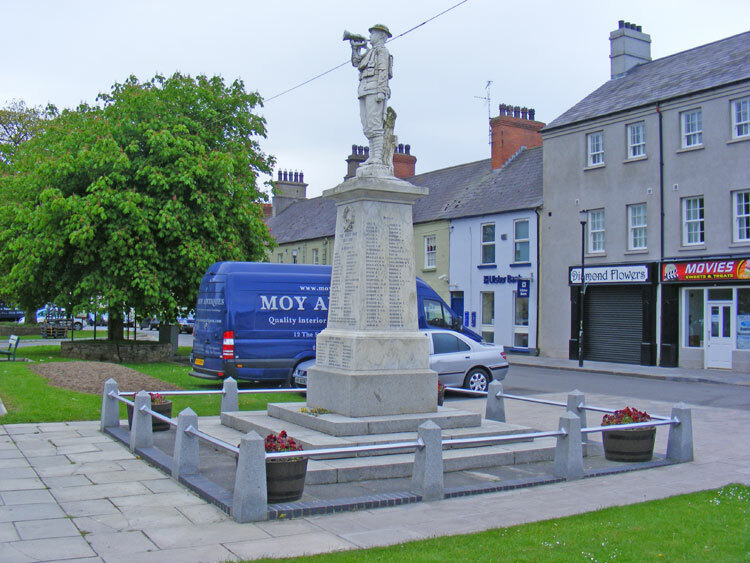 Moy War Memorial is situated in the centre of the village �square�. This formal rectangular market place is decorated with lawns and horse-chestnut trees. The monument is constructed from Sicilian marble. The figure on top is a representation of a soldier in full battle order, surmounted on a granite base.